Mash half of the chickpeas lightly in a bowl with a fork. 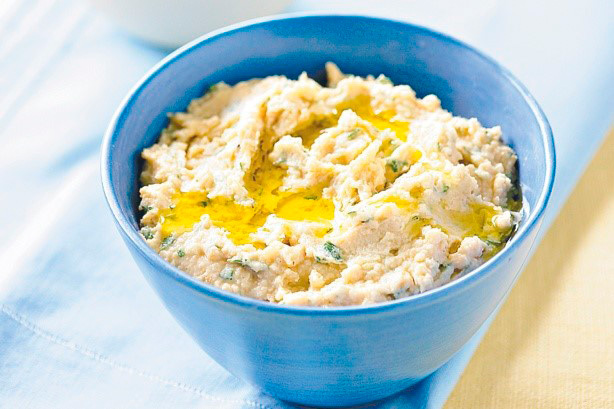 Mix in PDO Kalamata Greek extra-virgin olive oil, garlic, lemon juice, and salt. If desired, add 1/4 teaspoon ground cumin. Mash all ingredients together thoroughly or, if a smoother spread is desired, use a food processor to blend the ingredients. Enjoy with pita chips or raw veggies!